Acura Pickering | Blog | Acura Pickering Reviews the 2017 MDX Elite! Acura Pickering Reviews the 2017 MDX Elite! The 2017 Acura MDX Elite which, is an all around well-equipped luxury size SUV. The Elite trim provides some beautiful upgrades with amazing features all in one. 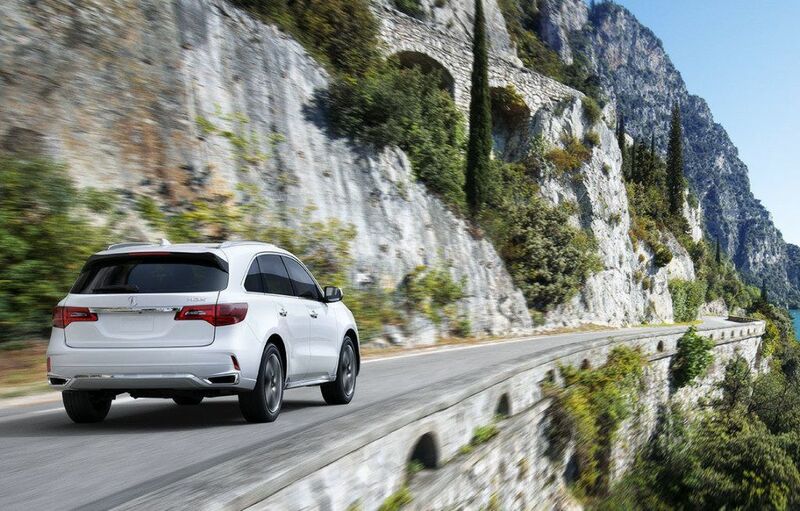 The Acura MDX’s drive is as breathtaking and magnificent as you could imagine. Built with high quality equipment, the MDX Elite has a comfortable driver’s area complete with all wheel drive. The Acura MDX Elite is designed with special automatic emergency brakes that are very helpful. It has smooth acceleration with a tremendous amount of space for passengers. It comes equipped with the AcuraWatch suite for active driving safety aids. With a three row seating it provides occupants with a lot of space by fitting up to 7 people at once. Its exceptional fuel economy makes it more beneficial and competitive in the luxury SUV segment. View our inventory. The MDX also has amazing features such as the new sports diamond pentagon grille, new hood design, front and rear fascias, front fenders, and LED headlights. Moreover, the 2017 MDX Elite also has dual exhaust outlets and auto high–beams, an additional charging USB slot which makes it easier for users to charge their electronics anytime anywhere. The Elite trim has a fresh and new hardware. It comes pushing a total of 290 horsepower delivered through a 3.5L i-VTEC V6 engine. With precise and natural steering provided in the MDX Elite, you can effectively drive through all seasons with ease and joy. It absorbs the impact of bumpy roads and also allows the driver to choose between normal and sport modes to tighten up the steering for better handling. In crash tests performed by the National Highway Traffic Safety Administration, the 2017 MDX Elite earns excellent scores, earning a five-star overall rating and perfect scores in four out of five categories. MDX Elite’s Lane Keeping Assist System automatically scans lanes and keeps the vehicle centered by providing guided steering. The Forward Collision Warning (FCW) system helps to protect against collisions by assisting the driver to adjust as the speed of traffic changes. If you’re in the Ajax, Pickering or Toronto area, then please book your test drive with Acura Pickering today! View the 2017 MDX Elite on Acura Canada.